The GE Security 521NCSXT Smoke Detector has been discontinued. No direct replacement is available. 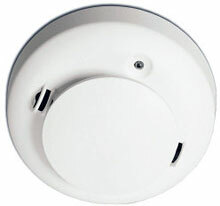 The 521NCSXT Smoke Detector are self-diagnostic, two-wire and are the industry's first conventional direct-wire smoke detectors with analog features such as remote maintenance/trouble reporting (CleanMe), drift compensation, and multi-criteria detection.